Clericalism has been a popular topic in American Catholic circles over the past year. The crisis in leadership is often framed as a result of clerical attitudes. But I wonder if lay people have challenged their own role in enabling clericalism to persist? Have we sat back and blamed the priests and bishops instead of stepping up? Or, worse, have we stopped attending or participating? Is it easier to blame the priests and bishops than work for change? 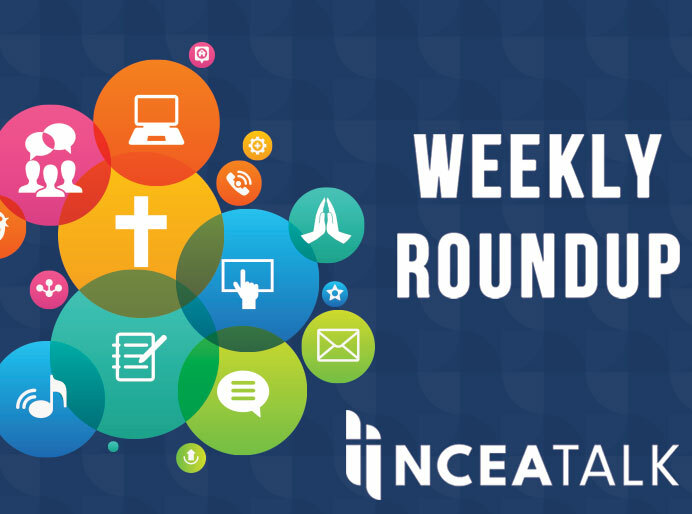 Trahan continues by examining our views of ordination. Therein lies the problem as I see it. And I have seen it. When on committees, people defer to the priest because he is a priest — even when others at the table have more expertise in the matter at hand. It happens when priests get special treatment at restaurants, sporting events or other venues by virtue of being ordained. It happens when experts in education and child development are overruled in parish schools by the pastor, based on his preferences. There is power and privilege in this. I cannot help but wonder what kind of impact this sort of treatment has on a person. Lay people have granted priests this special place. I’m not arguing that priests don’t deserve our respect. But if we grant them exalted positions due to ordination and ignore the perspectives of the laity, then we are to blame. And I see this pattern repeating in parishes and schools. The laity is apt to put all the decisions and tasks on priests and bishops and not claiming their role as “co-responsible” for the Church, in the words of Pope Benedict XVI. America magazine called for an end to clericalism in an editorial and spotlighted the dangers in a lengthy article. In it, Pope Francis is quoted: “Clericalism in the Catholic Church, Francis tells us, ‘nullifies the personality of Christians’ and ‘leads to the functionalization of the laity, treating them as errand boys [or girls]. '” This functionalization is something that we (the laity) can resist and claim as damaging. In the Crux article “Clericalism: The Culture that Enables Abuse and Insists on Hiding It,” another quote from Pope Francis highlights the conflict: “To say ‘no’ to abuse is to say an emphatic ‘no’ to all forms of clericalism.” This quote was from Pope Francis’ August 20th letter to all Catholics. The September Crux article “Laity Must Have Role in Fighting Clericalism” quotes Cardinal Beniamino Stella, prefect of the Congregation of Clergy, who says, “Clericalism and often the reduction of the Church to an elite class, has generated an anomalous way of understanding authority that has devalued baptismal grace and, not infrequently, has contributed to forms of abuse, especially on a person’s conscience.” Interesting to note the phrase “baptismal grace” which supports the notion of the priestly ministry of all. In “Christus Vivit,” the recently-released apostolic exhortation of Pope Francis written to “Young People and to the Entire People of God,” Pope Francis returns to this theme. Clericalism is a constant temptation on the part of priests who see “the ministry they have received as a power to be exercised, rather than a free and generous service to be offered. It makes us think that we belong to a group that has all the answers and no longer needs to listen or has anything to learn” (98). These themes were echoed by Archbishop Wilton Gregory’s press conference in Washington, where he promised to “always tell the truth” in order to rebuild trust. His comment, “I think so much of what we’re facing now was a misuse of power, an abuse of power, clerical power, power that was intended in too many cases to dominate and destroy lives” also supports this idea that clericalism needs to be challenged. One could argue that many Catholics have made their choice to reject clericalism by not attending Mass, not financially supporting the Church, and not enrolling their children in Catholic schools. We need to offer a different choice—staying in the Church, claiming our rightful place in the church, and working for change. Have a great week! I’ll be back next week with another edition. Hafa Adai! 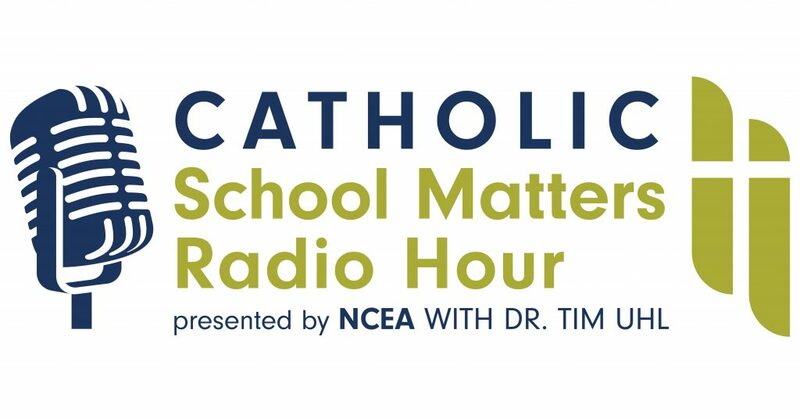 This week’s Catholic School Matters Radio Hour focuses on Guam, a timely topic since just last week the former archbishop’s conviction was upheld and the coadjutor now can officially take the reigns of the Archdiocese. Richard Alvia, the second-year superintendent of the Archdiocese of Agaña Catholic Schools, joins me to discuss the schools on Guam. The challenges and successes are highlighted and Alvia gives an overview of life on the island. He also summarizes the leadership and abuse crisis which has plagued the island. The first guest was Sister Maria Rosario Guyte, RSM, the principal of Santa Barbara Catholic School in Dededo. Here is an article highlighting their accreditation visit. She discussed her reality of being the youngest Mercy sister on the island and spoke to the Filipino connection. The second guest was Fred Rodriguez, theology teacher at Father Dueñas Memorial High School. He discussed the struggles of making theology relevant and discussed his side projects in Catholic radio and other evangelization efforts. The third guest was Dr. Rita Duenas, the president of Bishop Baumgartner Catholic School. She broached the difficult topic of bankruptcy and the financial challenges to the schools. The final guest was the principal of Notre Dame High School, Mariesha Cruz-San Nicholas, echoed the sentiments and discussed the transformation of the school from an all-girls school to a coed high school on the southern end of the island. She discussed how she was approached and invited to return to her alma mater to teach and then became principal after 10 years. The sense of history is palpable in the Catholic schools in Guam as their vibrant enrollments illustrate the strong Catholic character of Guam. The question of how to know how effective their schools is a struggle and WCEA accreditation, experience of graduates, and federal grant programs assist the schools in knowing their education is high quality.